The MJD team attended the NRF Big Show last week and came away both inspired and a bit overwhelmed. We were inspired by the digital innovation happening in retail, with big and small players alike pushing the boundaries of technology. 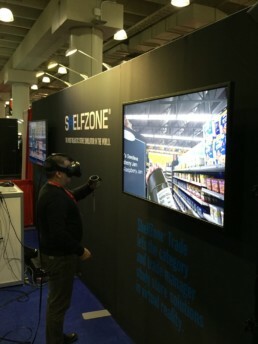 It felt a bit more like CES than the NRF shows of the past with virtual and augmented reality, cognitive computing, RFID, chatbots and plenty of cutting edge software options being sold as the savior to all retailers. We were overwhelmed by the sheer number of options retailers have to choose from. This brings up important questions: What exactly does the software do; would this technology provide value to my organization; and what would it actually take to implement any of these options? How does someone weed through everything to find something that works? Well, we’ve taken a stab at that. The following technologies and services cut through the noise for us as viable options for retailers to utilize in process of modernizing their operations. 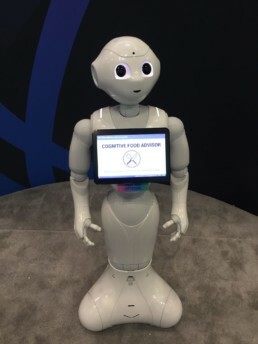 IBM “Cognitive Food Advisor” – How many people worked on that name at IBM? 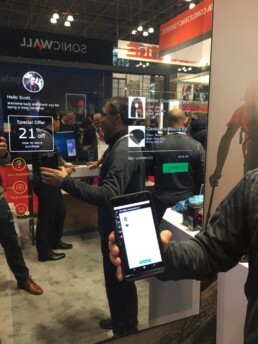 The bigger platform players like SAP, IBM, Microsoft, Intel, Toshiba came to NRF this year with the clear goal of being able to do everything asked of them by modern retailers. But it was hard to hear through the buzzwords to figure out what they really do best. They do a great job selling that they do everything from inventory and logistics, store management and commerce, as well as engaging digital experiences for both consumers and store associates. But it’s hard to be the best at everything, and it was difficult to identify the best in class at any single task. IBM Watson was very impressive and exemplified the “we can do everything for you” approach. 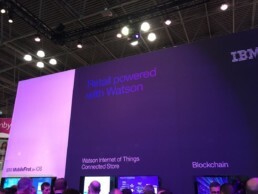 We walked away wondering how a retail store manager would understand the huge breadth of the technology they were selling under the “cognitive computing” umbrella of Watson. There is no doubt that a system like this offers tremendous value to a retailer, and can make the difference between success and failure, but it comes with a high price in time and cost to implement. For retailers looking to completely overhaul existing systems, this investment makes complete sense. If someone is looking to enhance existing systems, a better strategy is to tie together innovations that do certain things extremely well. For us, the real inspiration came from the smaller companies that are pushing the envelope of innovation. They are laser focused on changing the future of retail. Virtual reality seemed to have the biggest crowds. You could see the potential in the space as companies demoed virtual store concepts with virtual shelving, shopping, eye tracking to see what entices customers, and some cutting edge analytics. Virtual and Augmented Reality were a big focus of the show. Three companies stood out on the trade show floor in the VR space: Marxent Labs, InVRsion, and In Context Solutions. All three had promising VR solutions tailored for retailers, with great potential for some creative applications and interface add-ons by agency partners like MJD. Another technology that got a lot of attention from retailers was augmented reality, and yes, this included a few “magic mirror” options. These have grown up and are looking better since their early adoption days, most of which were poorly executed. The magic mirrors seem to be targeted to specific industries, mainly beauty and fashion. This technology becomes powerful when it enables virtual trials of products such as clothing options or makeup. A good user interface applied to this hardware can reduce the difficulty of finding products that appeal to an individual, while opening up essentially unlimited options to them. 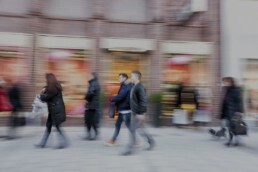 We see this driving spontaneous purchases that will increase revenues. We left thinking that the user experience and interface hadn’t really been nailed yet, and this is going to be a key area of focus for MJD this year. 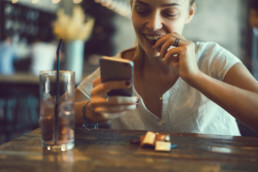 Other interesting technologies that we feel could be worth exploring included the chatbot company Kore, RFID/NFC tools for consumer experiences by BlueBite, Augmented Reality Commerce company Augment and mobile commerce platform NewStore. Overall the Big Show reinforced that there is no shortage of technologies and platforms at retailers disposal. 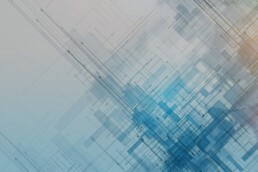 The most thought provoking aspect of this is figuring out how it all connects and relates to one another in order to enhance the overall customer journey. What digital product or experience is most effective in engaging users in a meaningful way? Tackling those hard questions and building the resulting incredible products is what gets us excited at MJD. Thanks to NRF for putting on another successful Big Show and for all the inspiration it gave us. MJD works with retailers and retail design firms to help decipher the legions of technology options available. For more MJD retail thought leadership please follow our retail innovation series: The Evolution of Retail.